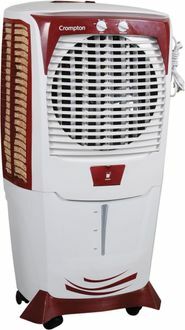 There are many renowned brands like Symphony, Crompton Greaves, Kelvinator, Singer etc., who manufacture big sized air coolers. 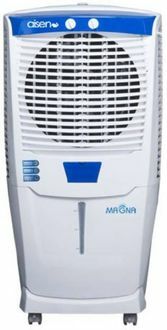 Below is the price list of 42 70L and above Air Coolers that has been last updated on 23rd April 2019. 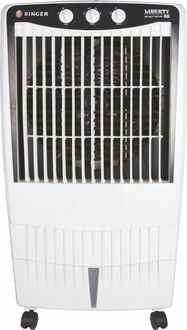 Most of the big sized coolers are desert cooler type while few ones are tower coolers as well as personal coolers. 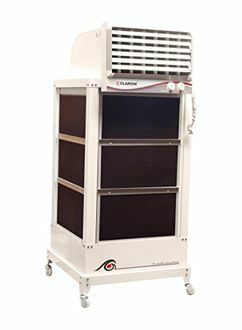 The large sized coolers deliver powerful air throw and can efficiently cool an area up to 500 sq ft. The large water tank capacity allows the retention of water for a longer period and lets the dry and warm air pass through at high speed for an efficient cooling. 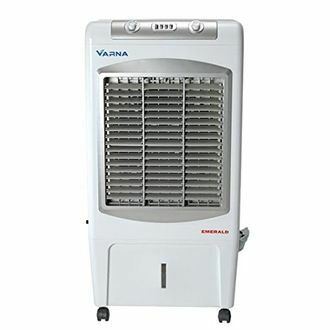 The power consumption of these coolers is around 100W- 300W, which makes them more energy efficient than the conventional coolers. Other convenience features include humidity control, power drainage, ice chamber, cool flow dispenser etc. The coolers are also equipped with castor wheels for easy portability. 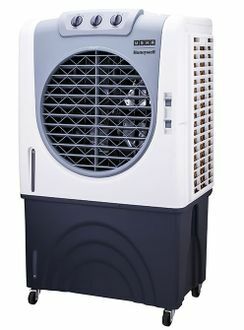 The big size coolers are ideal for cooling large open spaces, big halls, offices, restaurants. 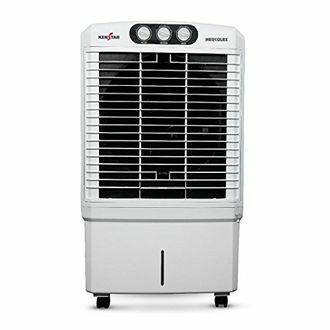 If you are planning to buy a big size and power efficient cooler, you may consider the above list of products. The best available online prices are sorted out and gathered together for your convenience. Just click on the item as per your budget and requirements and go through the specifications. Before buying, do not forget to check the available offers and cashback deals on your selected item.